The SPS UWE Scholarship was initiative set up by Spike Print Studio and UWE, Bristol. Working in partnership, the two organisations are creating opportunities for UWE, Bristol students and Spike Print Studio members. SPS runs an innovative and exciting learning programme, designed to suit all ranges of skills from beginners to professionals which includes 5 one year courses taught at first year degree level. limited access to the arts. It connects and engages with young people across Bristol through collaborative partnerships At the core of the collaborative partnerships is the assertion that involvement in the arts will make a transformative difference to young people’s lives. 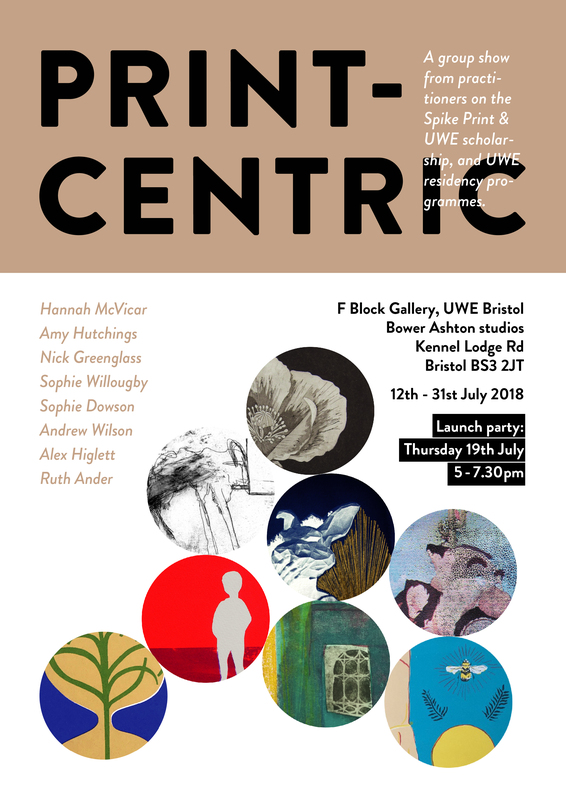 Poster for first group of Scholars’ exhibition July 2018.